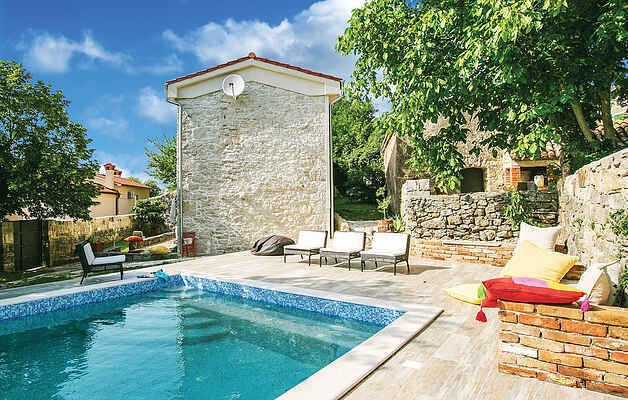 This authentic stone house is located in a small village near Labin. It has been completely renovated and decorated in a special style, taking into account the preservation of the traditional elements that give it a special charm and authenticity. Take a refreshing dip in the pool or relax with a good read on the terrace. The area is perfect for hiking, biking and spending time outdoors, and if you decide to get to know the surroundings, you can choose between a Natural Park Učka or beautiful beaches and coves of Rabac, tourist resort on the eastern coast of Istria. Visit the historic town of Labin, famous for its art galleries and events during the summer.